No room in the oven while prepping your holiday feast!?! 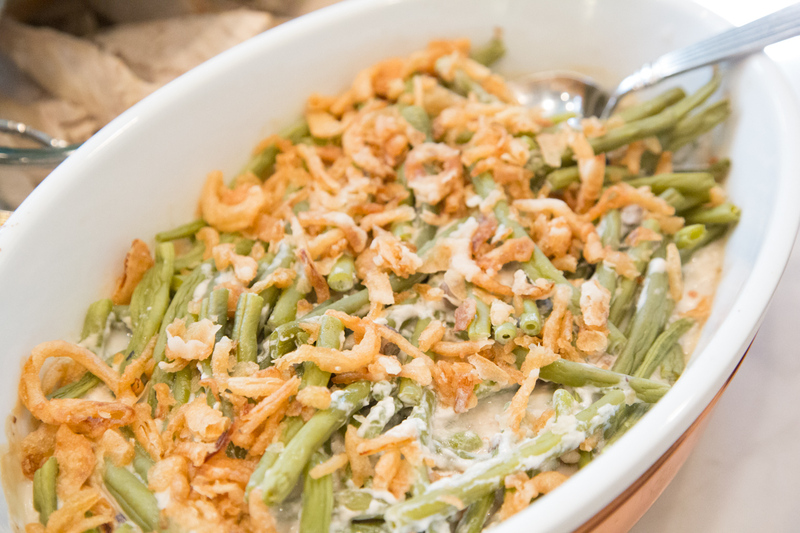 Not to worry…you can make your grandma’s favorite green bean casserole in the slow cooker! Get this going about 2 to 2 1/2 hours before your big feast and you’ll have some more wiggle room to work with in the oven. Toss the green beans and sauce in the slow cooker – then add the French’s fried onions in at the end and booooom! Green Bean Casserole…in the slow cooker! In the slow cooker insert, whisk the cream of mushroom soup, minced garlic, butter, flour and heavy cream. Add a few pinches of salt and pepper. Gently toss in the green beans, until covered in the sauce. Set on High and cook for 2 hours. Sprinkle fried onions on top and cook another 20 minutes. If you want the fried onions really crispy, transfer the green beans and sauce to baking dish and run under the broiler for 1 minute. 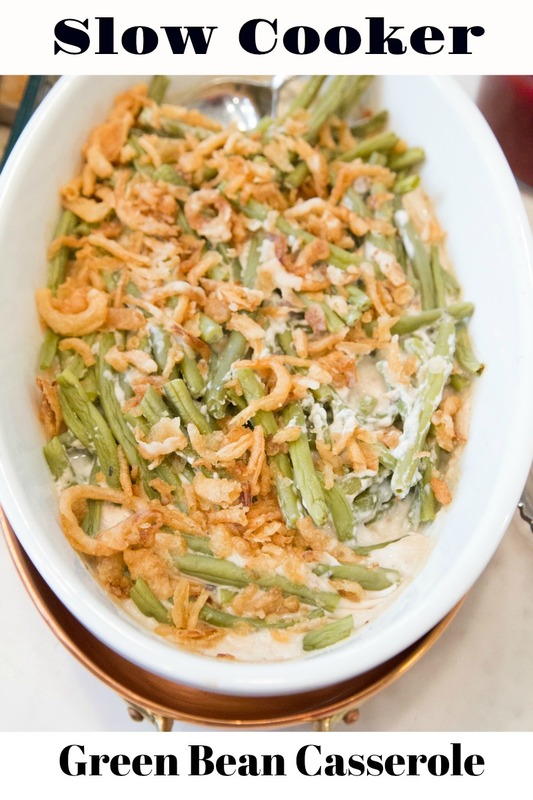 Serve Slow Cooker Green Bean Casserole as side dish for holiday meal or weeknight dinner. This recipe is featured on SouthernPlate.com’s Meal Plan Monday #93.